When it comes to your vehicle, top-of-the-line luxury should be nothing but standard. Between an intelligent entertainment system and a potent engine, everything inside your car should work in concert to keep heads turning. Fortunately, your prayers for luxury are answered in the form of the 2018 BMW 530i. Let’s learn more about the spine-tingling features tucked into this speed demon by checking out this 2018 BMW 530i review created by BMW of Stratham. Before long, you’ll be heading down the roads of Stratham, Portsmouth, and Exeter at the helm of this sporty sedan. A punch of power is what keeps you engaged with your drive. That’s why the 2018 BMW 530i comes packed with a standard 2.0-liter turbo motor that assaults the asphalt with 248 horsepower and 258 lb-ft of torque. And by teaming all that force with an 8-speed Sport automatic transmission, you’ll get the perfect amount of strength with the slightest tap of the accelerator. On top of that, the Driving Dynamics Control system features a selection of adaptable settings that change the way your car moves. So with options like ECO PRO, COMFORT, and SPORT, you’ll easily adjust your drive to meet anything you’re trying to accomplish on the road. The infotainment system inside your agile sedan should act as a concierge that’s prepared to address all your needs. And inside the sleek cabin of the BMW 530i, you’ll relax like never before thanks to the iDrive 6.0 system that operates using a 10.2-inch touchscreen. In addition, this setup comes equipped with a 200-GB hard drive and 20 GB of storage, so you’ll drive down the highway with all your hand-selected music, podcasts, and anything else. And with standard BMW Navigation, you’ll be expertly guided to the fastest path to your destination. Plus, intuitive gadgets like optional Gesture Control allow you to access the controls within your automobile with a movement of your hand. That way, you won’t have to take your attention off the road just to adjust the volume or change a song. When you’re equipped with full control over your position behind the wheel, you’ll find your ultimate comfort level. Luckily, the 2018 BMW 530i keeps you soothed with 16-way power front sport seats with 2-way power side bolsters and 4-way lumbar support. Furthermore, every inch of the cabin pleases your senses with fine appointments like wood trim, an Anthracite headliner, and SensaTec upholstery. And with tools like the Advanced Key & Key Memory system, your automobile will automatically adjust the interior to your most recent settings. That way, all you have to do is sit in your seat and head down the road.  At BMW of Stratham, we strive to supply drivers of Stratham, Portsmouth, and Exeter with a vehicle that instantly delivers on all your desires. And by opting for the performance, innovation, and high-end details of the 2018 BMW 530i, nothing will stop you from enjoying every minute of your ride. Why wait around to learn more about this dynamic sedan? Visit our showroom or contact us to schedule your test drive today!